So, I’m in Japan – and not thinking much about construction law – although I have been thinking a bit about construction (It’s a hazard of being a construction attorney). 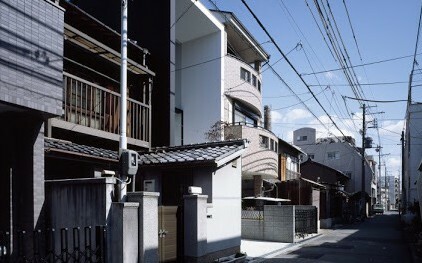 Japanese architecture is pretty diverse given its over 2,400 year history. To give this some context, American architecture if you trace it back to the first European immigrants who arrived in the early 1600s has just over a 400 year history. Japan is an archipelago which experiences frequent change. Hot and humid summers, frigid winters, typhoons, earthquakes, volcanoes and the occasional crazy monk. It’s also a small, mountainous and surprisingly scattered country. It’s roughly 90% the size of California; over 75% of the country is comprised of mountains; and while it is composed of four main islands (Hokkaido, Honshu, Shikoku and Kyushu), all counted, it is composed of 6,852 islands (how many of these might be disputed by China or Russia, I don’t know). Thus, as you might guess, wood framed buildings dominated early Japanese architecture. And the Japanese, as a sea-faring race, were experts at building with wood, whether it be their boats or their buildings. 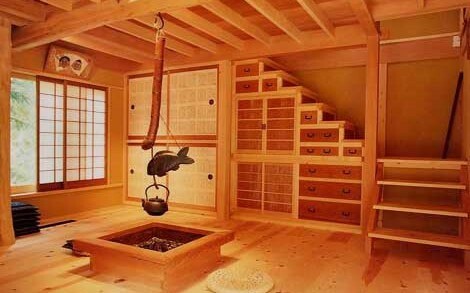 Indeed Japanese joinery, without the use of nails, bolts, or other fasteners, is reknown. An amusing story about my father-in-law who trained as a carpenter’s assistant in Japan as a boy. 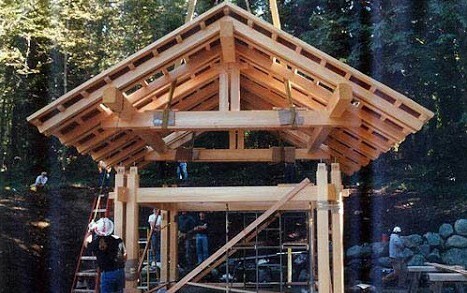 When he came to the United States he built a plant nursery using Japanese joinery techniques without the use of nails. When the building inspector came to inspect the building he noticed the absence of nails and told my father-in- law that he would not pass the building without nails. My father-in law, so the story goes, haphazardously drove nails into the building, and the building inspector, satisfied, passed it. It is surprising though that there are as many old structures as there are in Japan. They were built light due to the country’s frequent earthquakes, built off the ground due to the wet weather, had no insulation as a result of the frequently changing seasons, and were generally not built to last. 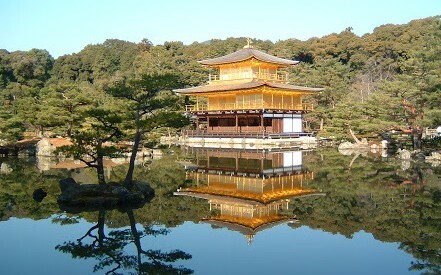 In fact, most of the old structures in Japan which have stood the test of time were either built that way for a practical reason, such as castles which had to be fortified, or because they were designed less for us than as a tribute to or symbol of the gods, such as the many intact temples. Much has been written about the Japanese aesthetic, from interior design to landscape design. 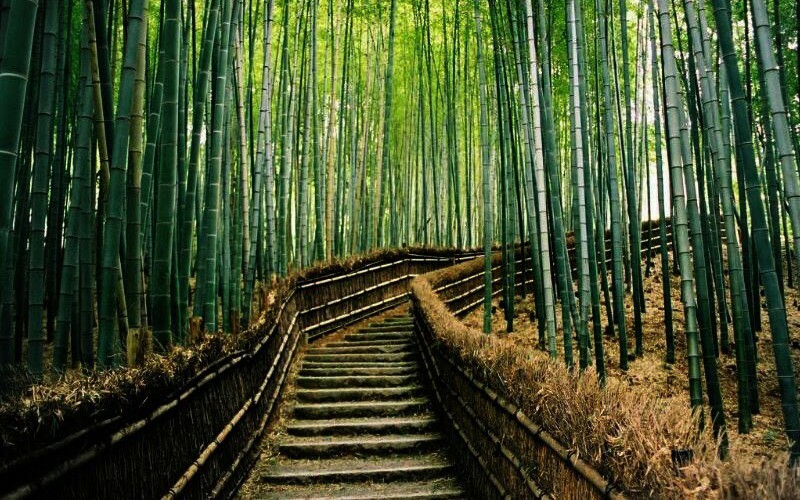 Japanese aesthetics is derived from Zen Buddhism with its focus on impermanence – that things are always changing whether it is the seasons, your luck, or your life – and the pursuit of the “middle way” so as not to be buoyed by life’s changes. With Japan’s geographical location and topographical and climatic characteristics, it’s no wonder why this philosophy took off here. This aesthetic is in turn guided by certain ideals including wabi (simple, austere beauty), sabi (the beauty of natural patina and aging) and yūgen (profound grace). You can see this in the simple, inornate interiors and landscaping, extensive use of natural materials in their natural form such as wood and stone, and grace in form and function where all excess is stripped away. The funny thing, is that a compelling argument could be made that simplicity, naturalness and grace can be (or should be) achieved by doing nothing at all. 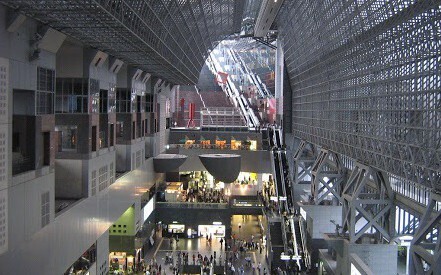 On the other hand, it is their painstaking attention to detail for which the Japanese aesthetic is known for. And yet, I’m sure if you were to ask a zen monk, he would say that beauty is irrelevant because it is as transient as all things in life. 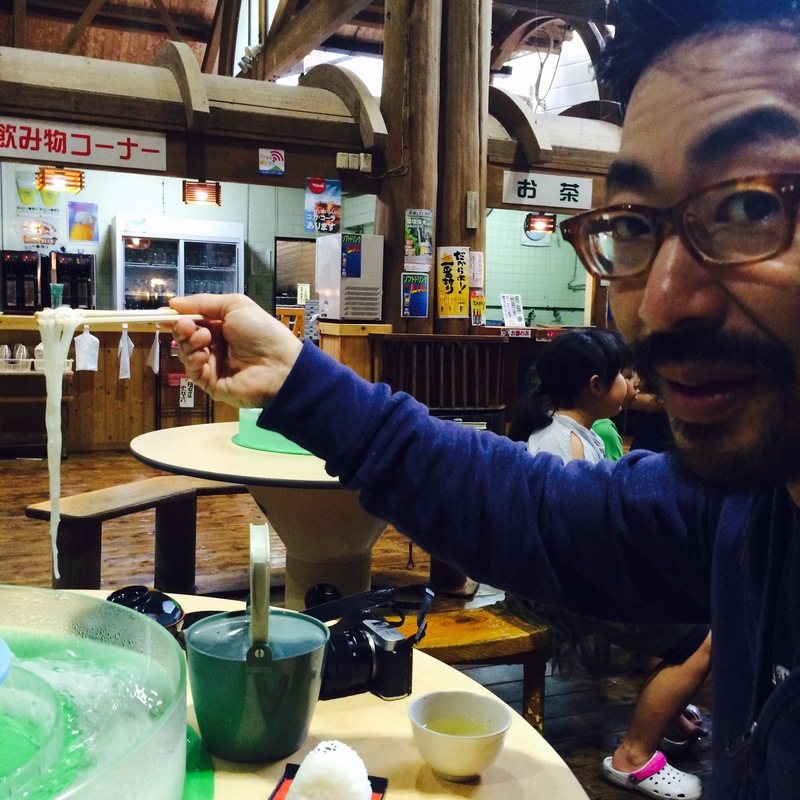 And here’s me eating cold noodles called “somen nagashi” (“flowing noodles”) at a well known restaurant in Kagoshima in southern Japan called Tosenkyo located in a building literally built at the bottom of a gorge over a running creek where you stick your noodles in water from the creek which cools and swirls your noodles around before you grab it and eat it. I love Japan and will need to travel back again, soon !